So you see all the P10 Matrix and you want some!. You order a few from Ray Wu, get them in and now what! 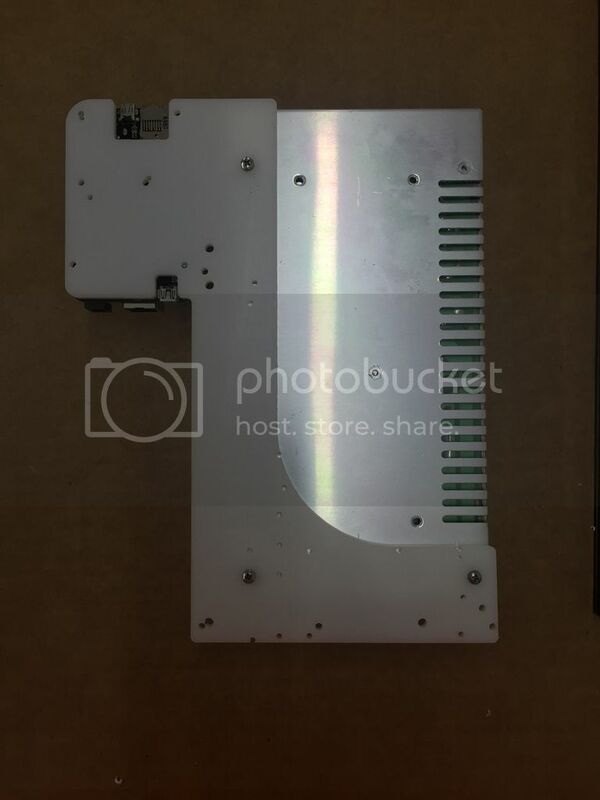 How do you build a backer board to mount them to? Lay it all out, drill the holes, cut access holes to get to the connectors..... Well Boscoyo Studio has a quick and easy solution for you. Introducing the Matrix Maker series of connectors. Across the top you have connectors that allow you to hang the Matrix. The L's located in the top corners are universal left/right and utilize the existing alignment pins. The horizontal T in center also adds a hanger point. In the middle row we have vertical T's on the ends and X in the center. On the bottom the horizontal T without a hanger finishes up the layout. One more addition to the P10 Matrix Maker series, the Power Clip. It is designed to hold both the Power Supply and a BeagleBone Black. Ignore the extra holes in the prototype. That was from a previous project. All the connectors include the appropriate number machine screws. Pricing will follow. I need to run the numbers on how many will fit on a sheet now that I have machine times. The final production Matrix Maker clips will be black in color. This is the first of a few projects we are working on for the P10's, stay tuned! Last edited by james70818; 09-21-2015 at 11:18 PM. Great Job James, you have excelled again with your innovation. Nice! Will be placing an order when they hit the market. When life gives you dilemmas, make dilemmonade. I'll be ordering some too! Awesome James! Just awesome! Finally. What took so long. Lol. Will this eliminate a frame per se or will it be strong enough to prevent flexing in the middle? I'm pleased with the stiffness of the material. Right now I have 6 panels put together 3 wide 2 high and I like it. I think it is more ridged than a sheet of 1/4 plywood. I will make a 3x6 matrix with them and post the pics of how they perform. One of the two additional products I am working on is a frame of sorts. 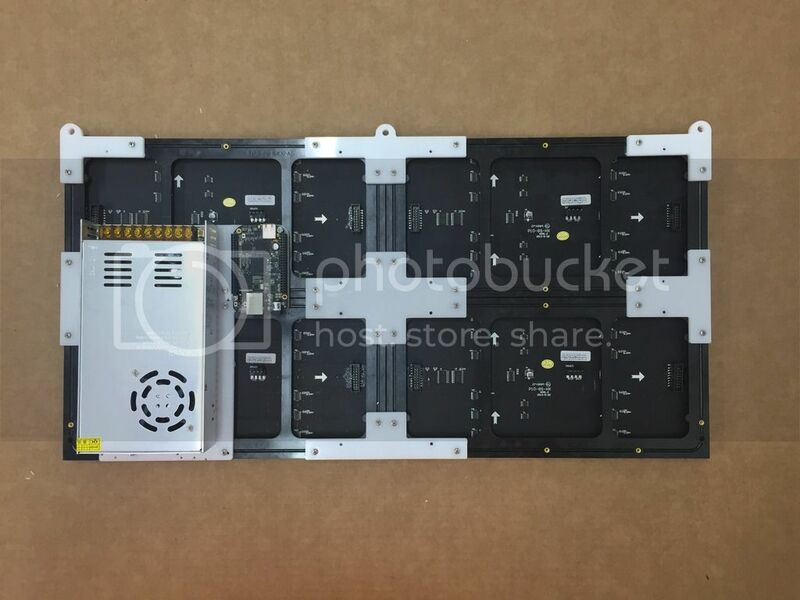 It is an entire backer plate with a frame. This unit is designed to be used out of the weather such as under a porch or even inside. Then the upgrade to that is an outdoor enclosure version which allows you to install the P10's, Beagle, cape, power supply and keep them protected from weather. I should have the final parts and pieces for the enclosures in this week. SAWEET!!!! I'll need an outdoor 3x6 kit please.! Well, let's do a little crowd sourcing since we are talking about matrix size based on the P10's. 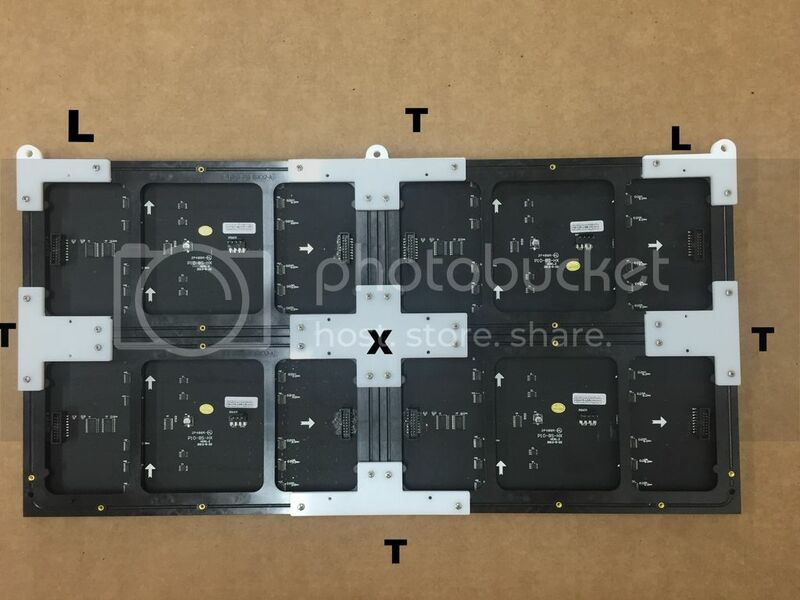 If you plan on making a matrix panel using P10 panels, what size would you make? The P10's are 12" wide and 6" tall.